Blog » How Much On Average Does A Medical Assistant Make? Jobs for medical assistants are expected to grow by approximately 23% from 2014 to 2024, according to the United States Bureau of Labor Statistics a. This represents a growth rate that exceeds the average growth rate over the same time period for other occupations. According to the Michigan Bureau of Labor Market Information and Strategic Initiatives, a potentially similar circumstance applies for Michigan where jobs for Medical Assistants are b. If you desire to work in the healthcare field you may wonder how much on average can a medical assistant make? The answer to how much can a medical assistant make depends on different factors, including the part of the country that a medical assistant works in, if a medical assistant has obtained certification and the particular industry that a medical assistant works in. 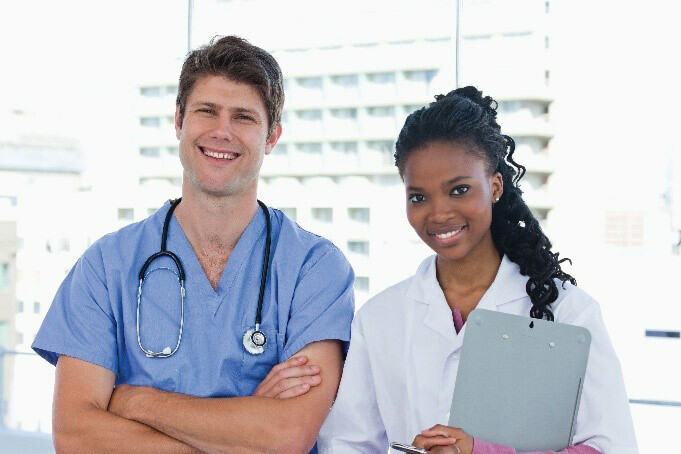 For example, the Bureau of Labor Statistics reports that as of May 2014, medical assistant jobs located in Offices of Physicians paid about $31,230 a year on average c.
These roles (in Offices of Physicians) made up a large portion of medical assistant jobs, totaling 349,370 positions as of May 2014 c. General Medical and Surgical Hospitals were another large employer, carrying 85,040 medical assistants c on their payrolls. If you work for a General Medical or Surgical hospital as a medical assistant, you may earn about $32,910 a year, which was the annual mean wage reported by the Bureau of Labor Statistics c.
When it comes to how much does a medical assistant make in the Scientific Research and Development Services industry, the Bureau of Labor Statistics reports that the pay is higher than in other industries. Medical assistants who worked in the Scientific Research and Development Services industry earned an annual mean wage of $36,670 c. Another high paying industry was Personal Care Services, which paid professionals working medical assistant jobs a mean annual wage of $36,030 c.
As with other jobs, what a medical assistant actually makes may depend on the individual’s experience, educational background, and overall job performance. Among the higher paying states for medical assistants were the District of Columbia, Alaska, and Massachusetts. Medical Assistants working in these areas earned an annual mean wage of $39,860, $39,680, and $37,640 respectively c. Regardless of where they worked it the country, Medical Assistants (nationally) earned a median annual pay of $29,960 as of 2014 a. According to the Michigan Departments of Technology, Management & Budget Labor Market Information, Medical assistants working in Michigan earned an average hourly wage of $14.11 as of 2014 d. The top 10% of medical assistants working for Michigan employers may earn an average hourly wage of about $18.29 d. On an annual basis, Michigan Medical Assistants earned an average wage of $29,350, according to Bureau of Labor Market Information and Strategic Initiatives d.
During a typical day, a Medical Assistant might schedule appointments, communicate directly with patients, and handle client billing, including inputting and verifying billing codes. In addition to working with patients, nurses, and doctors, a Medical Assistant might also work with insurance company representatives directly. Additionally, a Medical Assistant may generalize in the types of work that he or she performs. A Medical Assistant may also specialize and only work with dentists, physical therapists, including occupational therapists, or private medical doctors. There are physicians and nurses who rely on a Medical Assistant to prepare a patient to have blood drawn, get ready for a physical examination, or assist the patient with the taking of medications. In some instances, a Medical Assistant may actually draw blood and not just help prepare a patient to have her blood drawn. Recording vital signs and preparing specimens for laboratory work are other assignments that can impact the answer to how much a medical assistant can make. Organizations that certify Medical Assistants include the American Association of Medical Assistants, American Medical Technologists, and the National Center for Competency Testing. The track to becoming a Certified Medical Assistant may involve completing a postsecondary education at an institution such as Dorsey Schools. Hands-on training working with medical professionals and patients, as well as strong analytical, time, and project management, and administrative skills could also have a positive impact when considering how much does a Medical Assistant make. Ready to get started? Give Dorsey Schools a call today at 888-422-1188 or request info online! a Bureau of Labor Statistics, U.S. Department of Labor, Occupational Outlook Handbook, 2016-17 Edition, Medical Assistants, on the Internet at http://www.bls.gov/ooh/healthcare/medical-assistants.htm (visited January 03, 2016). Next PostJanuary is National Blood Donor Month | How Will You Help?